As part of CAN-BUS analysis i've been working on a CAN-BUS adapter to 'tap' into the CAN messagestream of my Vectrix. Reason for this is beause I want to use a programmable CAN enabled charger instead of the original ESD or Runke chargers and still use the dashboard to display some usefull information about the battery status like voltage, amps, SOC and such. I came up with an AVR/Arduino controller with CAN functionality which can read (and later on sent)CAN messages. 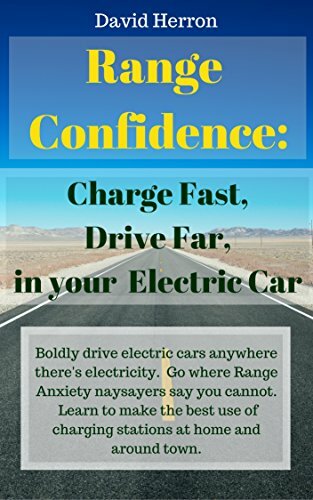 At this time it just plugs into the CAN socket in the glovebox and spits out every CAN message it sees on the bus through USB which can be read by any device with USB and serial terminal programm like Putty, Terminal or alike. I'd figure this could be usefull for other Vectrix users without the expensive Peak adapter because this little device is just $50. But I could configure it like sending out XML format if needed (for example by pressing both brakes and pass switch or something) or sending out status info of switches, dashboard lights and such. Is someone interested in this or maybe come up eith other functionality requests I can program in the logger ? Are you using this can bus shield ? Do you plan to distribute the source code of your data logger ? I'm using a similar type of CAN shield with Leonardo MCU. Not sure about distributing the source yet, im just focusing on reading and analyzing the CAN data stream besides outputting the raw data output. Although I can control almost all instrument lights and symbols and fuel gauge on the dash as we speak. I did make some progress on the CAN-analyser which ended up in a Vectrix VX1 'Expansion Box' as I will call it. It's a plug-and-play box which attaches to the CAN socket inside the glovebox. No soldering or additional wiring needed. - Fuel gauge is showing appropriate values according to measured Ah counter versus set Ah maximum. That sounds like a great gizmo! Being able to use the instrument panel with an aftermarket charger and get that data on display is nice. If my currently "dead" Runke charger turns out hard to repair and I end-up with an aftermarket charger (Elcon?) I'll be sure to get one of these from you. This sounds to good to be true, but i know it is true! Well done, very well done. Count me in for 1. We are also developing this kind of features for our Vectrix Premium customers. It will make much more things than a simple "data logger" and will communicate with mobile devices. Sooner there will be more details about it. More items can be added on request like temperature values, pack voltages etc etc. Selecting the item to show is done by using the left brake handle with killswitch on. After selecting the item it will be shown until scooter is switched off. It has a 15cm of cable on it which plugs right into the diagnostic socket into the glovebox. The 'Expension Box' itself can be taped with double sided tape or velcro to the inside of the glovebox. Upgrading of any future firmware can be easily done by a simple upload program and standard USB cable with any Windows PC. The item to view can be chosen by selecting the left brake while standing still and killswitch is off. The selected item is stored in non-volatile memory of the EB until another item is selected. The center ODOmeter shows the total used Ah ,that is Ah withdrawn minus the Ah regenerated. This value is shown when driving faster then 5kmh. The Ah numbers are shown in tens of Ah , so 123 is actually 12,3 Ah. These values can be reset to 0 manually by selecting both brakes with killswitch of for more then 3 seconds. This is the EB as it is, i'm looking for a smaller enclosure and STP cable between EB and plug. That is one nice piece 0f work keep going my good man. I read this today and think you do a great job ! Sent you a PM . Reset of the Ah counters is done automatically after any charging cycle or can be done manually. I'm currently working on an enhanced version which supports the ThunderStruck modular CH4100 2500W charger. I bought this logger and am waiting for it to arrive, I think it may be useful for someone like that's not good with the computer so you guys better get your order in. Connect the Box with usb cable to the PC. Start Arduinobuilder. Choose Leonardo and 16mhz. Programm will be flashed then. Updating worked for me finally with the Arduino builder under Windows. Before I used it I tried out updating with avrdude under Debian and with Atmel Studio 6.1 but without success. HI my data logger came friday late and I just tried it out just a little, it's hard to belive that after all those years VECTRIX"S eng. could not have made the bike work like this device does, what were they doing with all their time?after all they did make the best looking and structural bike body made. better contact PRENSEL soon and see if he has any more. Greetings! I'm looking to have a CANBUS data logger developed for a Bionx electric bike. It would need to be an inline/passthrough device using Hirose HR30 connectors as there is no diagnostic port. I've already got this device for programming (using a hex file developed to re-write very specific portions of the firmware), but what I want to do is just listen to everything going on. I am impressed that you have gotten the ability to read and write things on the bus. I am curious if you have figured out how to light the wireless icon on the dash. It would be cool if someday someone could light that icon as it communicates with your iphone. I have had all my phones mounted on the handlebars but only ever got to use them for anything but maps and music. Would be nice if diags and charging displayed there too. what were they doing with all their time? after all they did make the best looking and structural bike body made. And that was done by Rob Brady. He still has some great ideas on his site that never made it. Like the bike stand/charger combo. I looked at the chip45 adapter you've quoted and this allready should provide you with what you need. Apart from that you could consider buying a general type of CAN-BUS adapter like the one from PeakSystems. This comes with a pcanview application that gives you all raw can traffic. You only need to make an adapter cable then from DSUB9 to Hirose HR30 connector. Unforunally the Peak is rather expensive. I can make a special firmware for my CAN datalogger which spits out every can message on the USB/Serial port. But then i need to know what CAN bus speed and protocol is used on your bike. I like the docking station concept but in reality this would not work very well, if at all. Just think about dirt, salt, ice, snow and whatever that would stick to the lower front legs of the scooter and then try to dock that.. It would be much better if they 'ínvented' something like a roll-on/roll-over inductive type charging system. Just park the bike anywhere near a system like that and it could be charged. No fiddling with connectors, adapters, cables or whatever. Again i nice idea like many others implemented in the Vectrix but in reality not very feasable or practible. Both wireless and bluetooth sysmbols could be addressed and in future releases of my firmware it will support that. Together with a BT plugin adapter which provides the data on any BLE enabled device. Rafael(from FFM) already stated that in a previous post. We can see all the cells voltage, pack temp, total pack voltage, IGBT temp. All in real time. We can even change charging power and Ah of the pack, all with an Android smartphone. It's priceless and should have been standard in all Vectrix from day one. It would have saved a lot of packs. And given lots of usefull information to the Vectrix engineers. If they actually cared about their product. The Magic Box firmware is now at 1.48. You can find the update and latest manual on The Lairds box location. im litle doubt coz on the relase note you have "This version of the Magic Box firmware is for Lithium Ion battery chemistries." so, can i use this relase 1.48 with the NiMh battery ? I would be interested in getting one if it could reset the fuel gauge, is that possible ? What do you mean with 'reset the fuel gauge' ? Currently it drives the fuel gauge based on 1: initial SoC at startup and 2: used Ah during driving. This all with respect to the user settable parameters like battery capacity and upper and lower voltages. With this method the fuel gauge is following the actual battery status very dynamically because at every trip the SoC is determined at first and used as reference during the trip. This only works with a linear decharge curve as with Li-ion chemistry batteries like Leaf cells and 18650 cells. Theres also the possibility to drive the gauge based on a (user adjustable) fixed battery capacity and used Ah during driving. So you set your battery capacity fixed at ie. 40Ah and that together with the used/generated Ah during driving is used as reference for the fuel gauge. At every charge the used Ah is reset to 0 and the gauge will be 100% full. And finally theres a way of driving the gauge based on just battery voltages. So you set your upper and lower battery voltages and this determines the range of the fuel gauge. The actual voltage will then be used as gauge. I should have said "I would be interested in getting one if it could make the Vectrix's BMS think it's state of charge is full, is that possible ?" What I want to do is to have a secondary way of charging the Vectrix using an external charger like the Lairds equalizer charger but the problem is the Vectrix's BMS is off when it's charging so when you turn the Vectrix on it thinks the state of the charge is different then what it is. I thought if your CAN-BUS Datalogger could tell it that it is fully charged and you had fully charged it then that would be useful to have a working fuel gauge. And do you want to let the BMS think its full or just the fuel gauge displaying all bars ie full or whatever SoC it has.? Regarding the latter it already does that.